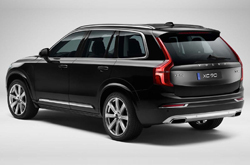 The new, fully redesigned 2015 Volvo XC90 full-size SUV is anticipated to arrive at Dallas dealerships in the spring of 2015. Meanwhile, Volvo is rolling out information to tantalize us, including specs, features and more. The new look is sure to challenge the status quo in SUV design with a less-is-more, clean elegance that buyers will love. We know XC90 will ride on a new modular platform and will use the new efficient and environmentally friendly Volvo Drive-E powertrain. As Volvo puts it, "you don't have to sacrifice power and superb drivability for efficiency and low CO2 emissions." Considering the efficiency and power of the new drivetrain, that statement seems apropos. The new 2015 Volvo XC90 offers Dallas drivers three power modes: pure, hybrid and power. Pure mode utilizes electric-only for short-distance commuting with zero gas consumption. Hybrid is the default driving mode which draws from the electric and turbocharged engines either independently or in combination depending on driving conditions. Power mode makes use of the combined power of both engines to offer up about 400 horsepower with significantly less fuel consumption and CO2 emissions than competing vehicles from other makers. The new Volvo XC90 is not designed for those who like the look of a jet cockpit. No cluttered panels here. Volvo's new design is all simplicity, sleekness and intuitive interactivity. Visually relaxing, the interior exudes fine craftsmanship. In-dash switches, dials, buttons and gauges have been replaced by a now-familiar tablet-like touchscreen interface combined with steering wheel-mounted and voice interactive controls with a head-up display. You never need take your attention from where it belongs: the road ahead. The intelligent voice interaction system allows you to speak naturally without learning specialized command sequences. Another Volvo first included in the 2015 XC90 is Carplay, Apple's iPhone 5 connectivity system, which interacts with the Volvo touchscreen interface to make your phone features, including Siri, a seamless part of your XC90's interactive systems. Continue on with our 2015 Volvo XC90 review for more information on additional features and new XC90 specifications. 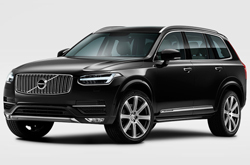 Submit the form on this page or give us a call if you'd like to learn more about the 2015 XC90. We're positive that the XC90 is the best match for you. 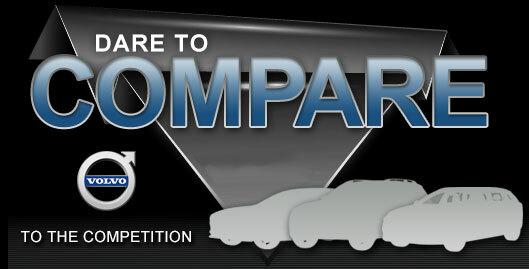 That's why we offer tools that will allow you to compare Volvo's latest model alongside the 2015 Volkswagen Touareg, Acura MDX, Lexus RX 350 and the Buick Enclave. If the XC90's bargain price and modern features don't convince you that it's the best vehicle for your needs, we're sure its handsome design will seal the deal. Hundreds of Dallas Volvo drivers choose it because it's a fabulous value; just compare its price to the forementioned vehicle options. 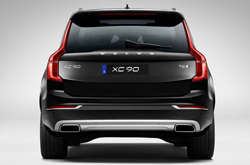 For more info, check out the XC90's quick-facts list below. We've taken the time to create reviews about vehicles like the 2015 Volvo XC90 because we know how important it is to your car search. With the help of experienced automotive writers, we have created some of the best reviews about Volvo's models that you'll find online. The above article is jammed with worthwhile data - it contains info about cabin amenities and other specs so that you can make intelligent decisions about the Volvo you want to buy. After reading through about the 2015 XC90, please pick up the phone and call Volvo of Dallas to learn about OEM specials and lease offers.